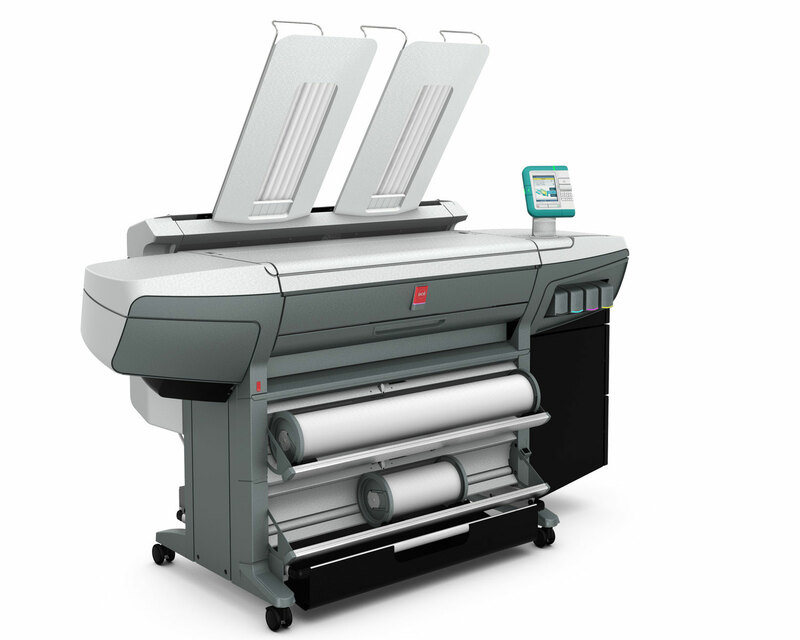 Rise above your current large format plotter's capability with the Océ TDS750 multifunction black and white printer. The Océ TDS750 wide format printer is ideal to address the demanding deadlines required in a peak performance departmental print setting or productive, central print room environment. Based on the multi-award-winning Océ TDS700, you can count on the Océ TDS750 plotter for long-lasting performance and consistent results for years to come. Designed to meet the needs of technical professionals on the go. 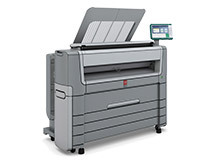 The Océ PlotWave 350 large format printer is the next wave in mobility, speed and reliability. 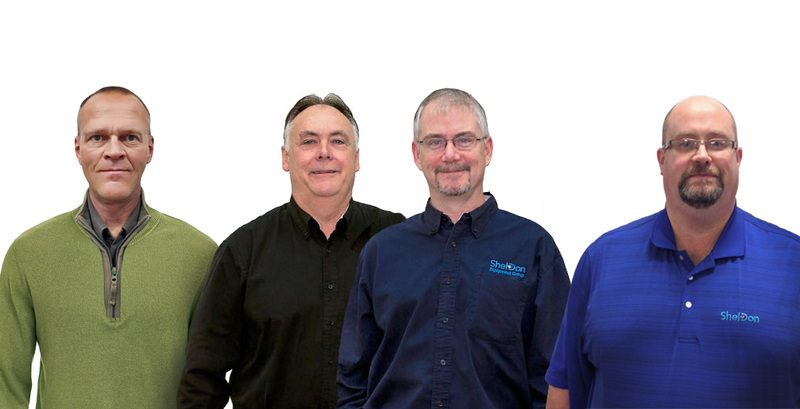 For printing, copying and scanning technical documents. This fast plotter builds on the award-winning success of the Océ PlotWave 300 printer. Serious high volume black and white large format printing power to create the world around us Organizations that rely on large format prints demand fast turnaround and efficiency. The Océ PlotWave 900 wide format printer, plotter, scanner and copier is the most reliable and productive black and white wide format printing system available today to meet these needs. The cost-effective design gives you direct earning power, while Océ Copy Press technology offers low electrical power consumption and low heat emission levels. 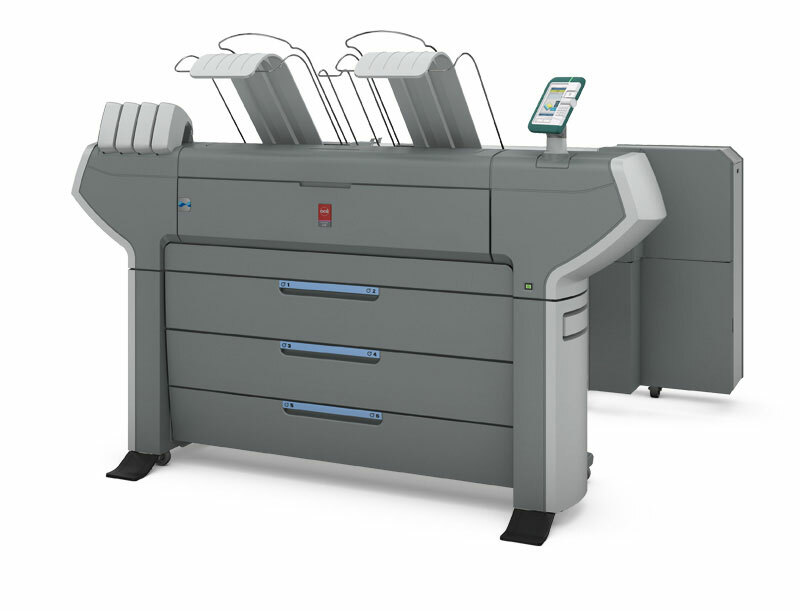 The Océ PlotWave 900 wide format printing system delivers efficient, steadfast reliability for productive printing. Oce’ ColorWave 500 Large Format Printer The most productive all-in-one large format printing system - monochrome and color Push the boundaries of your large format printing with the Océ ColorWave 500 printing system, a monochrome and color printer, scanner, and copier in one convenient single footprint. Gain a competitive edge with distinctive high-quality wide format drawings and presentations without the need for expensive coated paper. Save greatly on space, supplies, and maintenance by using one system for both color and monochrome work. With its intuitive design, the Océ ColorWave 500 color printer is one of the easiest to use walk-up printers in the market today. 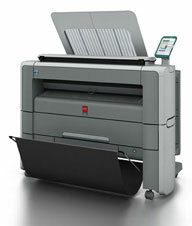 Produce up to 225 D - sized monochrome and color prints per hour - to meet a rush deadline without breaking a sweat. 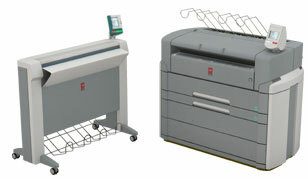 This large format printing system can hold up to four media rolls and prints come out dry, cut-to-size, and ready to use. 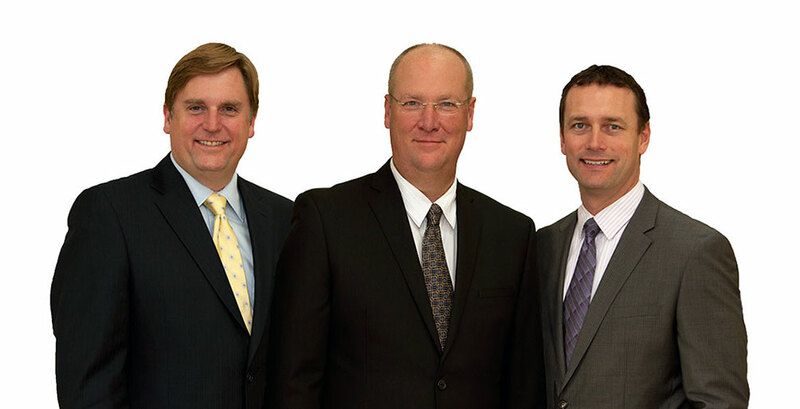 The Océ patented Océ CrystalPoint technology ensures robust, waterfast prints with sharp lines, high readability of fine details, and smooth, even area fills. 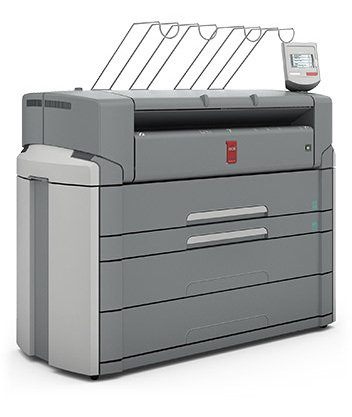 Cloud Integrated, Advanced Large Format Technical Document Management Print, copy, and scan with the Océ PlotWave 500 wide format printing system. Now in a single-footprint configuration, print or copy in high quality monochrome, or scan in color or monochrome, and take control of your large format project workflows with the power you need to print faster, share faster, and finish projects faster. Black & White Large Format Printer / Plotter / Copier / Scanner with Multi-touch Gestures Touchscreen and Cloud Integration The Océ PlotWave 340/360 large format printer works faster by minimizing waiting time and using less energy and print up to 4 or 6 D-size plots/ minute, with virtually no warm-up time. From cold sleep to print in hand, this wide format printer will have your print job ready — in less than 40 seconds. Compared to a slow 4 minutes with conventional large format printers, this easily saves you an hour a day in printing delays, increasing your effective speed up to 300%. No tradeoff between energy consumption and getting a fast first print thanks to the energy efficient Océ Radiant Fusing technology. 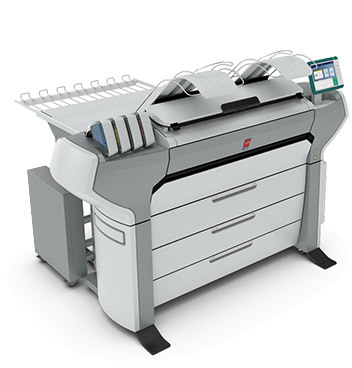 Proven technology for productive black and white large format printing The Océ PlotWave 750 is a mid-volume black and white large format printer that can enable you to exceed the limits of your devices’ capabilities. 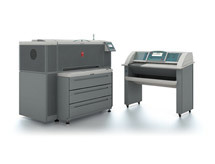 The Océ PlotWave 750 wide format printing system helps you meet the complex document challenges faced in a departmental print setting or a productive, central print room environment. Gain the edge for your business. Print more flexibly. Protect vital data more securely. Produce documents faster and manage print jobs more easily. 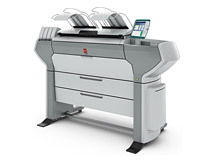 Let the Océ PlotWave 750 black and white large format system take your document capabilities to new heights. Print in color with the Océ ColorWave 650 large format printer and help grow your business with the most efficient technology for instant-dry wide format color printing. 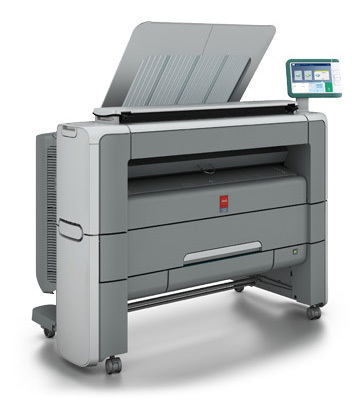 The Océ ColorWave 300 wide format printer is a single-footprint all-in-one printcopyscan machine that is designed to grow with your business to meet all your color and monochrome large format printing needs.